Later in the day, we stopped to buy some snacks and oh, yeah, some fireworks! Sadly, we were so tired after the long day that we didn’t even bother. We’re staying at the Ramada in Las Cruces, and I am so impressed by this little hotel! It is very “southwestern”….white stucco building with cool arches and colorful tiles. I can’t wait to see the skylights in the courtyard in the morning! Another 400 mile day in the books….are we there yet? it’s nice they are such close buds…probably make the trip easier for them. Hope the winds aren’t too bad for you today…looking at the aerial of your route today…it looks a bit barren…with a few crop circles and El Paso thrown in for a bit of “color”. Wagons Ho! 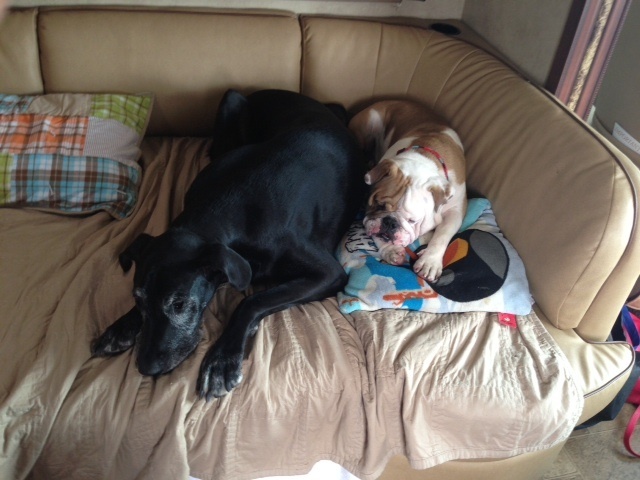 Winston & Athena are moving from Long Beach, Calif., to Tampa Bay in a 30’ RV and want to help their fellow anipals by seeking straight donations or pledges by the mile (it’s only 2700 miles). 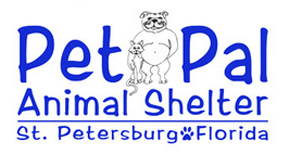 Follow the trip here, use #RoadTrip4Pets and click below to pledge! Annette Baesel on Home, Sweet Home!